This page contains a crusty tomato-basil bites recipe. 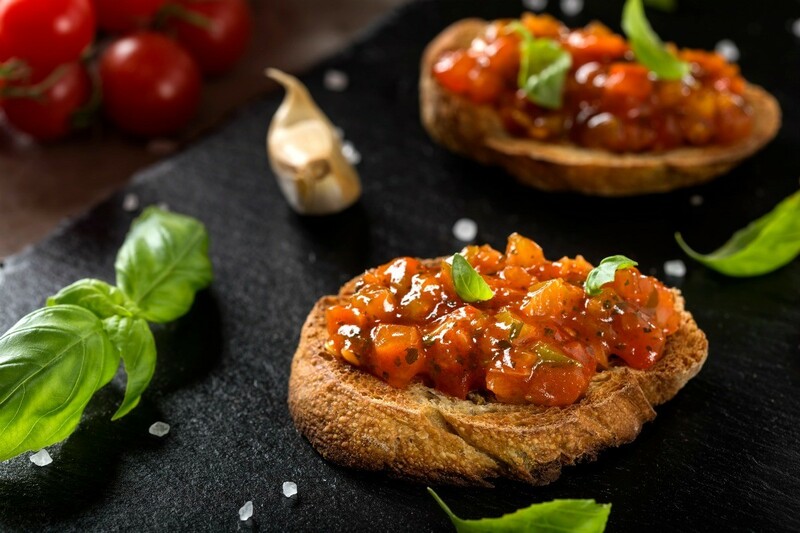 This recipe combines plum tomatoes with delicious Italian seasonings to create a wonderful appetizer or light snack. These crusty tomato-basil bites are easy to make and perfect for your next party. This easy appetizer recipe is perfect for your next party. In medium bowl, combine tomato, pepper, onion and garlic. Stack basil leaves; cut into long, thin strips. Add to tomato mixture with oil. Season with salt and pepper. Cover; let stand 1-2 hours for flavors to blend. Diagonally cut bread into long, thin slices. Broil or grill on both sides until golden brown. Spoon tomato mixture onto bread slices; sprinkle with Parmesan cheese, salt and pepper. Serve immediately.